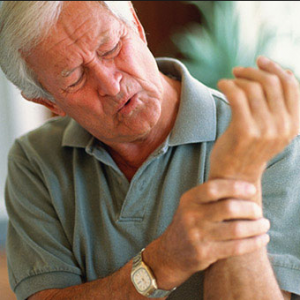 Arthritis is one of five major diseases associated with old age. Diet plays a huge factor towards influencing how this health condition progresses. There are two main types of arthritis. They are Osteoarthritis and Rheumatoid Arthritis. Osteoarthritis involves the disintegration of the joint jacket, the cartilage and ligament integrity. This can lead to the bones rubbing against each other. When the bone is on bone, it can cause swelling, restricted range of movement, stiffness, deformities, pain and inflammation. This often occurs as a result of wear, tear and injury that accumulates throughout life. Rheumatoid Arthritis relates to an autoimmune response, which occurs when the body starts attacking the joints. Many of the above symptoms may happen but it’s often marked by burning and painful joints. In addition, there may also be scarring and thickening of the joint capsule. This can cause physical deformities, where the hands and feet are pulled into unnatural positions. 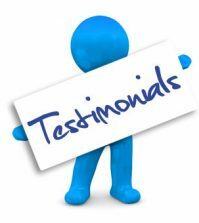 Therefore, it is also important to ask for the help of a healthcare practitioner who can help to manage it better. Certain foods can aggravate the inflammation that contributes towards arthritis. Foods from the deadly nightshade family may increase inflammation. This includes tomatoes, potatoes, eggplant and peppers (capsicum). However, the latter containing Capsicum also contains a high level of Vitamin C content. This is one vitamin that can help build and repair joints, reducing the level of inflammation in the process. Grains are another food that some people are intolerant to. As we age, stomach acid reduces and the protein digestion within the stomach becomes poorer. Once this grain protein leaks into the blood as in a leaky gut, it can result in an inflammatory response that spreads all over. Manufactured or processed foods can also contribute towards increased inflammation. They are not natural within the digestive system and promote an inflammatory response. Manufactured and processed foods are also pro-inflammatory and this includes alcohol, caffeine and smoking cigarettes. Adopting a raw, plant based diet is the ideal for anyone who wants to avoid inflammation in the long term. Being overweight or obese places great strain on the joints, meaning increased inflammation. Therefore, if you carry excess weight, it’s advisable to try and lose it. You can do this by moving onto a healthy, raw, plant-based diet to help you to reach a natural weight. Avoiding foods high in starchy carbohydrates is absolutely essential for anyone who wants to reduce their inflammation levels. This helps prevent conditions such as arthritis in the long term. As much as possible, taking a holistic approach by managing your diet is essential. Furthermore, incorporating healthy foods along with exercise (if recommended by a healthcare practitioner) produces best results. In addition, moving to a warm, dry climate and hypnosis may all help too. One of the best ways to relieve inflammation is to take Serrapeptase. It is a proteolytic enzyme that dissolves inflammation within the body. Serrapeptase can safely dissolve and eliminate inflamed tissues, leaving the healthy ones intact. Thus, painful symptoms often disappear and become more easy to manage in the long run. This is as good as considered a ‘recovery’ in many instances. 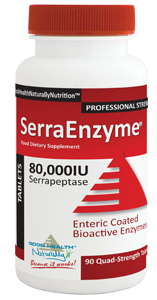 Serra Enzyme 80,000IU™ – This enteric coated bioactive enzyme supports many of the body’s normal processes and can help with the natural healing process. Some of these benefits include post-surgical recovery, anti-inflammation, and joint mobility. It is also beneficial for sinus activity, fluid balance and waste and toxin removal. Available from Good Health Naturally, SerraEnzyme™ is an excellent solution for relieving inflammation naturally within the body. 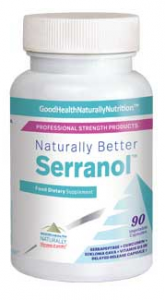 Serranol™ – This is a super nutrient formula containing Serrapeptase, Curcumin, Ecklonia Cava Extract and Vitamin D3. This professional strength formula can support healthy cholesterol, heart health, blood flow, circulation. Moreover, it also helps promote healthy joints and cells. The Really Healthy Pasta™ product range is available to buy online from Good Health Naturally. The Really Healthy Pasta™ range is gluten and grain-free. They are made with legumes such as Black Bean, Buckwheat and Golden Flaxseed, Chickpea, Mung Bean and Red Lentil. The pasta range are in shapes such as fusilli and penne. For more information about Really Healthy Pasta, go to www.reallyhealthypasta.com. 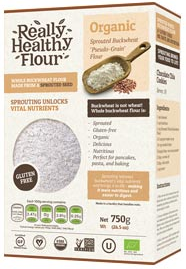 Really Healthy™ Organic Buckwheat Flour available from Good Health Naturally is a sprouted, gluten-free anutritious alternative to traditional wheat flour. It is the ideal alternative for baking healthy cakes, biscuits, bread and buckwheat noodles, etc. 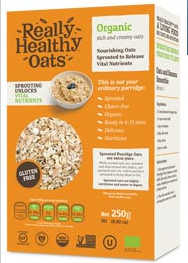 Really Healthy™ Organic Oats contains organic oats that are gluten-free and sprouted to unlock vital nutrients. They bring the rich and creamy oats to life. Easy to prepare and ready in 4-15 minutes, these oats are delicious and healthy. They are ideal for use in smoothies for breakfast, prepared as porridge or as a healthy lunch, snack or dinner alternative. Available from Good Health Naturally, Really Healthy™ Organic Oats are a good alternative to traditional oats and the ideal way to feel fuller for longer. 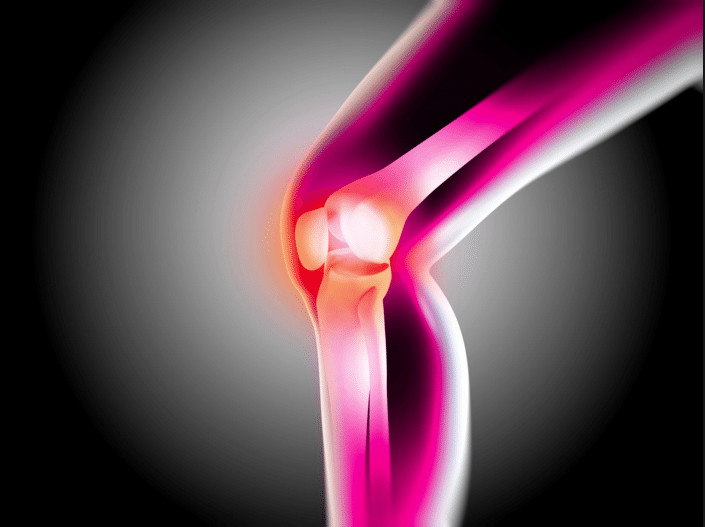 What is Osteoarthritis and What Causes It? 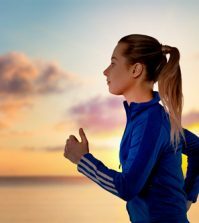 ¿Qué es la Osteoartritis y qué la causa?